Many people don’t consider “terroir” when they knock back a tequila shot or sip a margarita. But, tequila has as much terroir (a.k.a. sense of place that defines a product’s flavors and aromas) as a bottle of fine wine. In fact, tequila is all about “place,” starting with its origins. Tequila is a distilled alcoholic beverage made from blue agave, a succulent plant grown in the State of Jalisco in northwest Mexico. By law, all tequila is made in Jalisco or in one of the four tiny municipalities of Guanajuato, Nayarit, Michoacán, and Tamaulipas. Making tequila is a time-honored process carefully monitored by Mexico’s Consejo Regulador del Tequila (Tequila Regulatory Council) to ensure quality control from sourcing the agave plants through to distillation. It can take several years to harvest an agave plant. Some mature piña (the agave heart) can weigh between eighty and a few hundred pounds! 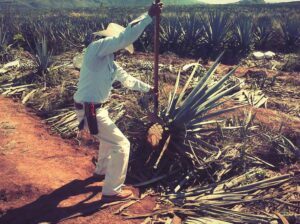 Using a sharp curved tool called a “coa,” the jimador (harvester) carefully removes and trims the agave leaves that protect the piña which is extracted from the ground. The piñas are then slow roasted in traditional brick ovens (“hornos”) or steamed in stainless steel autoclaves. This process converts the complex carbohydrates in the plant into fermentable sugar and softens the piña to make the sugar extraction easier. Once cooked, the piñas are then crushed to release the juice (called “aguamiel”). Often this is done using a traditional method called “tahona’ in which mules, oxen, or tractors are utilized in rotating a large grinding wheel within a pit to separate the juice from the fibers. The juice is washed, strained, and prepared for fermentation in tanks where the sugar is converted to alcohol. Sometimes the juice ferments in its own native (wild) yeasts for a more natural process which takes longer, or yeasts can be added to move things along. Depending on the process, this can take seven to twelve days after which the fermented juice is transferred to steel pots or columns for distillation. 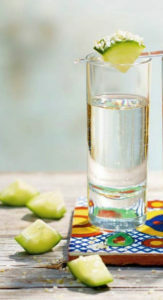 Most tequilas are distilled at least two times and sometimes three. The final step is aging in French or American oak barrels for a reposado or añejo tequila. Blanco (labeled “Silver” or “Platinum”) is clear and either unaged or aged up to two months. It is usually bottled directly after distillation or kept in stainless steel for up to four weeks. This style of tequila has intense flavors and more “bite” to it. Reposado (“rested”) is aged between two and eleven months in wood barrels or tanks. More honeysuckle gold in color, it has softer flavor notes and is enjoyably mixed in drinks or sipped neat with a wedge of lime. Añejo (“aged”) is aged a minimum of twelve months. 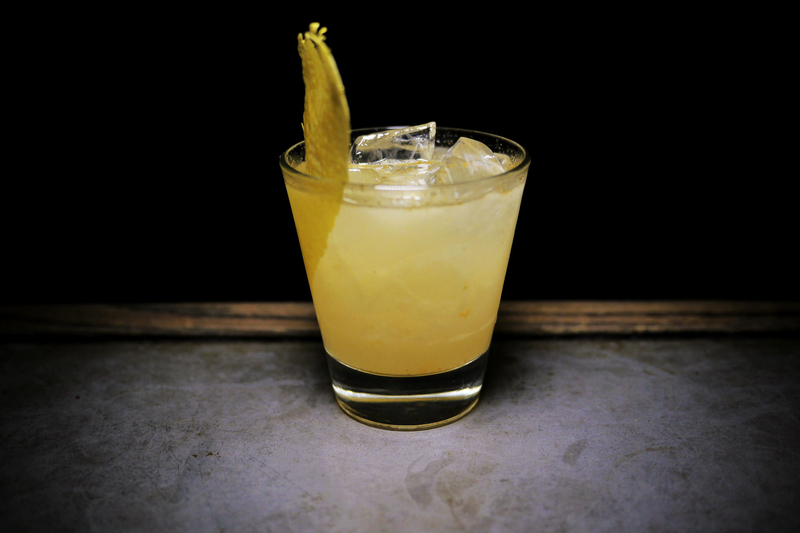 Amber in color, this smooth, richer tequila is perfect for sipping like a brandy. Extra Añejo is aged more than three years in wood barrels, resulting in a deep mahogany-colored tequila imparting more complex and intense flavors. So, let’s talk terroir. 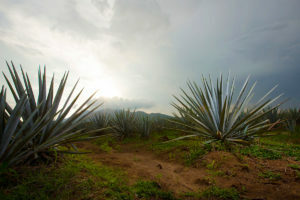 How do tequilas produced from highlands agave vary from lowlands? “Typically, tequilas from the Highlands are said to be sweeter and fruitier because of the richer soils, hotter days that encourage the development of sugars, and cooler nights that provide slower maturation of the plant. 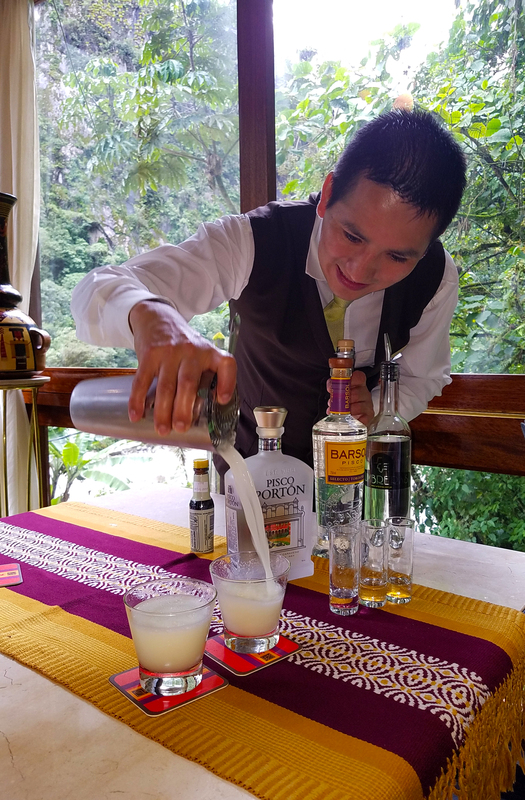 Tequilas from the Valley ([referring to it as] the “lowlands” is a term that doesn’t quite do justice to the altitude being some 4,000 feet above sea level) are said to be drier and earthier thanks to volcanic soils and a warmer overall temperature. 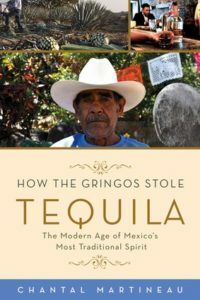 But, having said that, production methods vary so greatly that it’s rare to be able to blind taste a tequila and know where it’s from,” Martineau says. For pairing tequila with food, she adds, “Blanco tequila is a good match with ceviche, fish tacos, and anything with some heat. Reposado and añejo can go with any dark meats, molé sauces, and corn. Most agave spirits pair well with corn which also happens to be planted after a harvest of agave to return nutrients to the soil for the next crop. 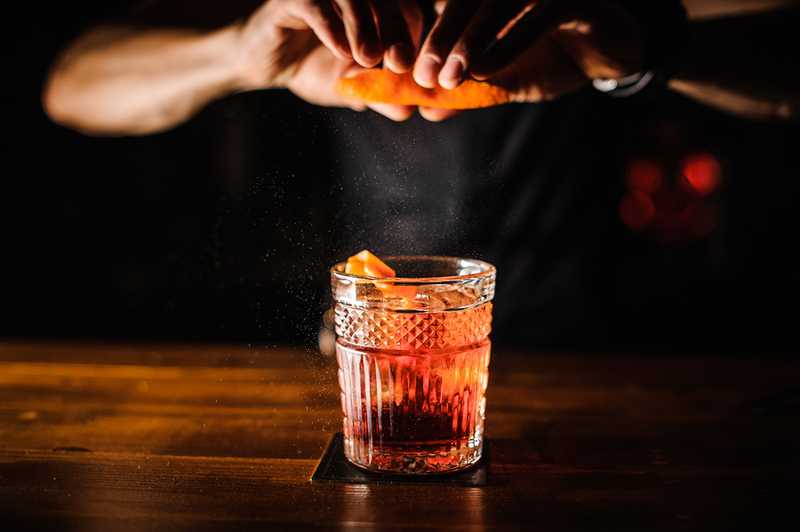 There is a saying an old chef of mine used to say, ‘Ingredients that grow together, go together.’” The same saying applies to basic wine pairing as well, so this makes perfect sense when starting to approach pairing spirits too! Tequila is not just about the guac and tacos and shots and salt. When you sip a fine tequila there’s more than a slice lime in the glass; there is a slice of history and terroir. Astral: Award-winning Master Sommelier Richard Betts (formerly Wine Director at Aspen’s Little Nell) has created this terroir-driven, one hundred percent craft tequila to enjoy like a fine wine. 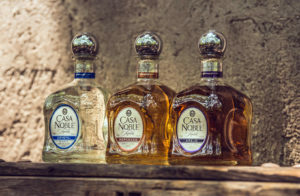 Casa Noble: Celebrated Maestro Tequilero José “Pepe” Hermosillo created these small-batch one hundred percent organic certified tequilas, triple distilled and aged in French white oak barrels. Don Julio: Founder Don Julio is credited with helping raise the bar for higher standards in production including his own super-premium products. 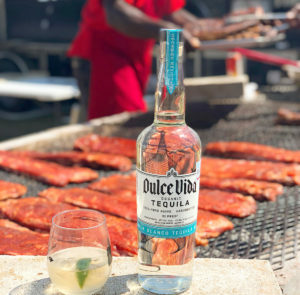 Dulce Vida Organic Tequila: Another of the handful of one hundred percent organic, small-batch tequila fiercely committed to sustainability and zero waste. Dulce Vida also produces tequilas infused with lime, grapefruit, and pineapple-jalapeño. 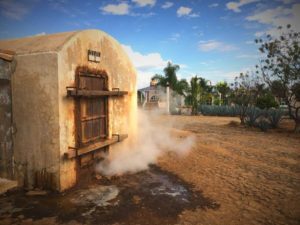 Herradura: Maria Teresa Lara Lopez, Mexico’s only female Master Distiller, oversees production at this one-hundred and fourty-five-year-old hacienda-distillery known for its handcrafted, barrel-aged tequilas. Padre Azul: This newer super-premium tequila with its “rocker chic” bottle laced with leather lacing and topped with an eye-catching metal skull head will be a conversation starter.